What is the point of Daylight Savings Time? 2. Time is just a human construct; humans invented this “clock” thing. If I lived in the wilderness, “Spring Forward” day would have just been a regular day. NOT a special “Daylight Savings” day. I wouldn’t know the damn difference between 9:32 or 10:32 anyway. 3. Even though #1 and #2 are true, why do I feel like someone just beat me all over with a stick? And then flew me through 12 time zones and back? 4. AND, On “Spring Forward” day, did you know more people suffer from heart attacks than any other day in the year? So, I am not alone in feeling horrible. 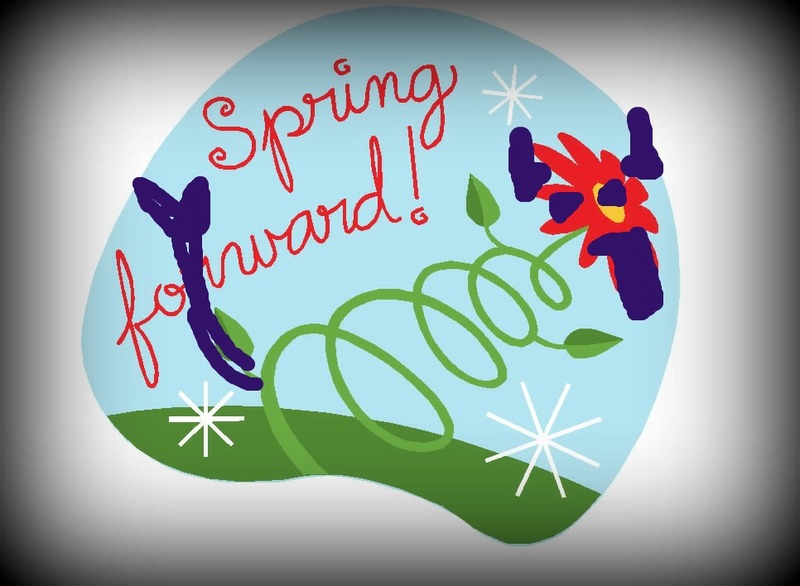 MY POINT being: I tried to write 5 different blog posts on Spring Forward Day, and failed. I tried to go see a play I had free tickets for and failed. I tried to coach someone through an essay and ended up rambling on about Facebook memes. Then, when I tried to take a nap, I couldn’t even do that. Yes, I failed at taking a nap. If I removed all of my clocks, would I still feel horrible? Did I bring this on myself via the Placebo Effect because I stared at the time for too long? I DO NOT UNDERSTAND WHY I FEEL THIS WAY. I have nothing significant to say today. Just that this blog is entitled “girl growing brighter,” and I would truly like to know why this is happening to me. Anyone? PS: Apologies for my delay. I blame it on Daylight Savings Time.